Win it! Kindle Fire HD | Breezy Mama Breezy Mama - Expert parenting advice, celebrity interviews, product reviews for kids, moms and babies and more! 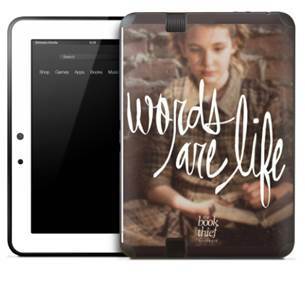 In honor of the movie The Book Thief, now in theaters and based on the beloved bestselling book, Breezy Mama is giving away a Kindle Fire HD with a custom Book Thief Skin ($150 value)! 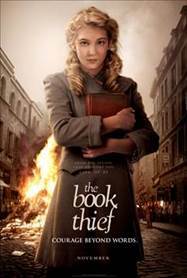 The movie that stars Geoffrey Rush, Emily Watson, and Sophie Nélisse is the inspirational story of a spirited and courageous young girl who transforms the lives of everyone around her when she is sent to live with a new family in World War II Germany. To enter to win, tell us in the comments a movie you are looking forward to seeing! We have two kids under 5, so any movie is exciting to see! I know we are talking about seeing Frozen together as a family. Otherwise anything on a date night would be great. Thanks! Randomly picked a winner and a HUGE congrats to Tammy Buchanan!